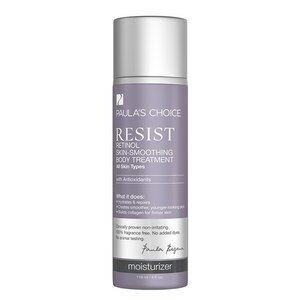 Achieve flawless, youthful-looking skin with the Paula's Choice Resist Skin Revealing Body Lotion 10% AHA, a fast-absorbing lotion that targets uneven skin tone and dry, rough areas. Formulated with alpha hydroxy acid and antioxidants to slough away dead skin cells, revealing a smoother, softer texture and restoring a radiant glow, whilst fading sun damage and dark spots for brighter, healthier skin. Suitable for all skin types, the lotion stimulates collagen production to firm and tighten skin, minimising the appearance of wrinkles. E.N. Dispense a quarter-sized amount into the palm of your hand and massage onto clean skin in gentle circular motions. Can be used daily for all-over smoothing and exfoliation, or applied only to dry areas as often as needed. If using with an additional moisturiser, apply this treatment first and adjust amount used based on personal preference. Do not apply to just-shaved legs (AHAs can sting if applied directly after shaving). May be used on the face, but avoid direct contact with the eye area. Please Note: This product contains an alpha hydroxy acid (AHA) that may increase your skin's sensitivity to the sun and particularly the possibility of sunburn. Use a sunscreen, wear protective clothing, and limit sun exposure while using this product and for a week afterwards. Aqua, Glycolic Acid (Alpha Hydroxy Acid, exfoliant), Dimethicone (silicone slip agent), Cyclopentasiloxane (silicone slip agent), Glycerin (skin-repairing ingredient), Stearic Acid (thickener), Butyrospermum Parkii (Shea Butter) (emollient/antioxidant), Cetyl Alcohol (thickener), Sodium Hydroxide (pH adjuster), Glyceryl Stearate (thickener), PEG-100 Stearate (thickener), Tetrahexyldecyl Ascorbate (stabilized vitamin C/antioxidant), Tocopheryl Acetate (vitamin E/antioxidant), Chamomilla Recutita (Matricaria) Flower Extract (anti-irritant), Vitis Vinifera (Grape) Fruit Extract (non-fragrant plant oil/antioxidant), Camellia Oleifera (Green Tea) Leaf Extract (anti-irritant), Salix Nigra (Willow) Bark Extract (anti-irritant), Allantoin (anti-irritant), Butylene Glycol (slip agent/stabilizer), Xanthan Gum (thickener), Disodium EDTA (chelating agent), Sodium Benzoate (preservative), Phenoxyethanol (preservative). Purchased this a few of weeks ago to brighten up my skin (tummy, buttocks, arms and shoulders) and get rid of all the dead skin cells, built up from loads of sun damage over the years. So far, it's the best product I've added to my 'body' skincare routine. Purchased two more already just to stock up. Definitely a staple in my routine now. At first the product wouldn't even come out of the tube, I had to use a needle to stick into the hole and get the 'dried' bit out before I could squeeze anything out. After that It came out just fine, love this stuff for my arms and legs, use it for my chicken bumps (Keratosis Pilaris) and it works great! I was at firrst dubious about spending this amount of money on this kind of body lotion. Guess what I'm on my 2nd bottle. 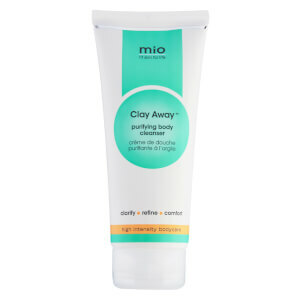 This product does work to exfoliate and smooth complexion. The amount of comments i got about how beautiful my skin was, people even asked if i had been on holiday. Now my complexion is dark (African) and i have dry skin so for years i have been trying to maintain a moisturising routine which included using cocoa butter & bio-oil to even out my complexion and Aveeno for dry skin. What years of daily using cocoa butter and occasionally using bio oil for most of my life was achieved within 2 months of using this product. I do occasionally use it on my face with no irritation. I will continue investing in Paula's Choice products for now. In combination with Retinol Body Treatment my body complection looks a bit smoother.